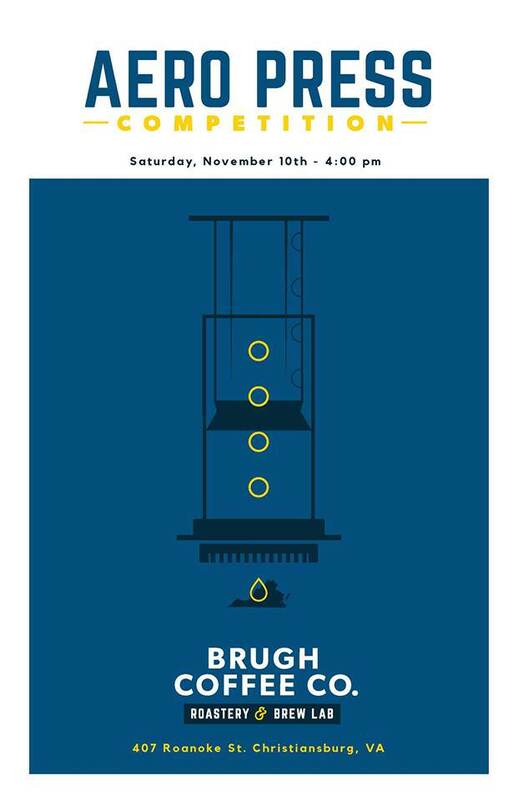 Brugh Coffee Company presents an Aero Press Competition on Saturday, November 10, 2018. The Aero Press Competition is a multi-round, elimination tournament. The competition will follow World Aero Press Championship rules with one modification, competitors are allowed to swap out the standard filter basket with Prismo, if they wish. In each round three competitors will brew coffee simultaneously. Competitors will have eight minutes in which to prepare, brew and present their coffee. When the time is up, the coffees will be presented in identical vessels to a panel of three judges and the judges will blindly evaluate each coffee and point to their favorite coffee on a three count. The winner will move on to the next round and the other two contestants are eliminated. Note: In the event of all three judges pointing at different cups, the Head Judge will taste the coffees, and decide the round. This decision is final. It is free to enter the competition though the competitor spots are limited. To reserve your spot please contact Luke at Luke@BrughCoffee.com. Competitors will need to bring their own coffee. Competitors are not required to bring their own equipment unless they wish to do so. Grinders, kettles, etc. will be available for use. Brugh Coffee Company is located at 407 Roanoke Street in Christiansburg, VA.
To view the event flyer, visit: https://i.imgur.com/nCmtVqB.jpg. For more information, visit: https://www.brughcoffee.com/pages/aeropress-competition or https://www.facebook.com/BrughCoffee or call 540-320-9352.